Taipei, Taiwan-based TSMC is expected to handle 60 to 70 percent of Apple's processor fabrication business in 2015, according to a report from Taiwanese trade publication Digitimes. South Korean conglomerate Samsung, Apple's current fab partner, is said to have secured the balance of Cupertino's order. The numbers match up with an earlier report from The Korea Economic Daily. Along with the supplier change, the paper speculates, will come a shift to a new, 14- and 16-nanometer FinFET-based fabrication process. Apple's A7, which powers the iPhone 5s, iPad Air, and iPad mini with Retina display, is built exclusively by Samsung on a 28-nanometer process fab. 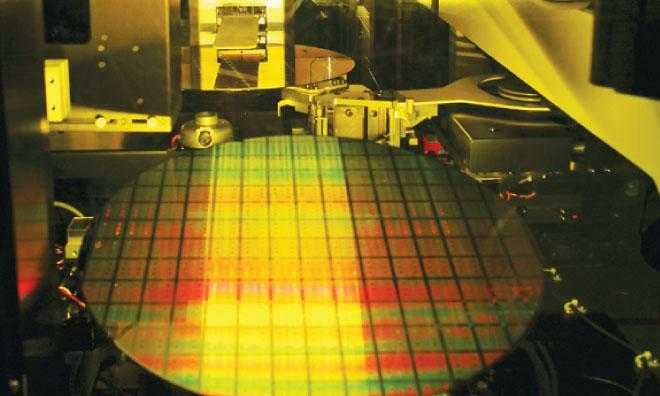 Apple is believed to be preparing to manufacture its next-generation "A8" chip using TSMC's 20-nanometer process in 2014. TSMC has recently begun ramping production on its 20-nanometer lines and analysts believe Apple's business could comprise as much as 10 percent of TSMC's 2014 revenues. TSMC CEO Mark Liu has predicted that the company's 16-nanometer fab would be up and running by the end of 2014, while Samsung has said their 14-nanometer process would be ready at approximately the same time. However, the companies' move to the new FinFET-based processes could prove difficult, industry experts have told AppleInsider. Jumping from, for instance, the 28-nanometer node to the 20-nanometer node is largely an exercise in making things smaller. Moving from traditional planar transistors to FinFET— essentially a new, "three dimensional" type of transistor— on the other hand means an entirely new manufacturing process. As it stands today, only Intel has the capability to manufacture FinFET-based devices in commercial quantities.